Have you ever wanted something for somebody more than they wanted it for themselves? It’s really the classic dilemma of a parent. I think as parents, we want good things for our kids. And very often, we want good things for them more than they even want them for themselves. I think it’s the classic dilemma of any type of leader. I think it’s the classic dilemma of any type of coach or mentor. We fall into this idea of wanting something for somebody else more than they want it for themselves. At my consulting company, we’ve got all these coaches. We’ve got life coaches. We’ve got business coaches. We’ve got executive coaches. And one of the things I’m constantly trying to say to the coaches is, one of the biggest challenges you’re going to have is that you’re going to see what is possible in people, and you are going to want what is possible more than the people themselves. Of course as a coach, as a parent, as a leader, as a mentor, you can cross a line where you get too involved, where you start to do things for them rather than empowering them to do those things for themselves. This emotion we feel, this dilemma we experience, is Godlike. It’s what God experiences every day with you and me. He sees what’s possible, and then he sees who we are and the lives we’re living. He sees what’s possible in you. He sees what’s possible with your life. And most of the time, he wants it more for you and me than we want it for ourselves. That’s the great parental frustration, and it’s one of God’s great frustrations. It’s that he wants things for us more than we want them for ourselves. He wants you to become the-best-version-of-yourself more than you even want it for yourself. He wants heaven for you more than you even want heaven for yourself. But he never crosses that line. That’s free will, and that’s an incredible love. There’s an incredible love in that free will not to cross that line. There are a thousand lessons in all of this for us, but let’s focus on this one today: Let’s ask God to give us the desire for goodness, the desire for being the-best-version-of-ourselves, the desire for heaven, the desire that for everything that’s good, right, noble, and just, to fill us with that desire, to help us to desire it as much as he desires it for us. To help us see the possibilities the way he sees the possibilities. 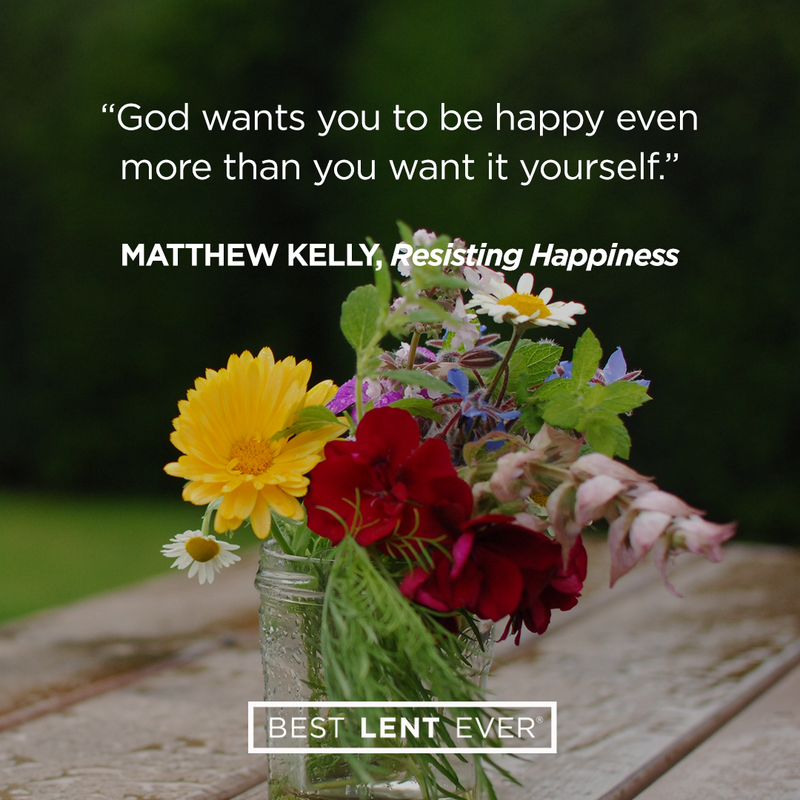 When we resist God we resist happiness. Learn to recognize when you want something for others more than they want it for themselves. Jesus, I cannot imagine the happiness you desire for me. Help me to embrace your dream for my life. Today’s personal reflection features Dynamic Catholic team member Dominick Albano. Dominick is our RCIA team leader and comes to us from Rockford, Illinois. Dominick met Pope Benedict XVI on his honeymoon, was a stay-at-home dad for five years, and once scored eight goals in a pee-wee hockey game. Have you ever wanted something good for someone more than they wanted it for themselves?